There is something that I just love about styling feminine and masculine pieces together, and today I'm sharing a look that does just so. This Chicwish lace top is the epitome of feminine, with its high neck cut, lace detailing, and ruffled hemline. It's a top that I can see myself wearing dressed up to an event with a skirt, or on a date night with a dark pair of skinny jeans. Because I wanted a more casual look, I paired this top with distressed boyfriend jeans, and a leather jacket. I love how the loose fitting jeans added a casual vibe to the top, while the black leather added the perfect amount of edge. Loved this combo when I saw it on IG! Such a beautiful top. This top is very stunning on you Rachael and how cute that you styled it casually too. I can't wait to see the dressed up version. Love how you styled that lace shirt!!! 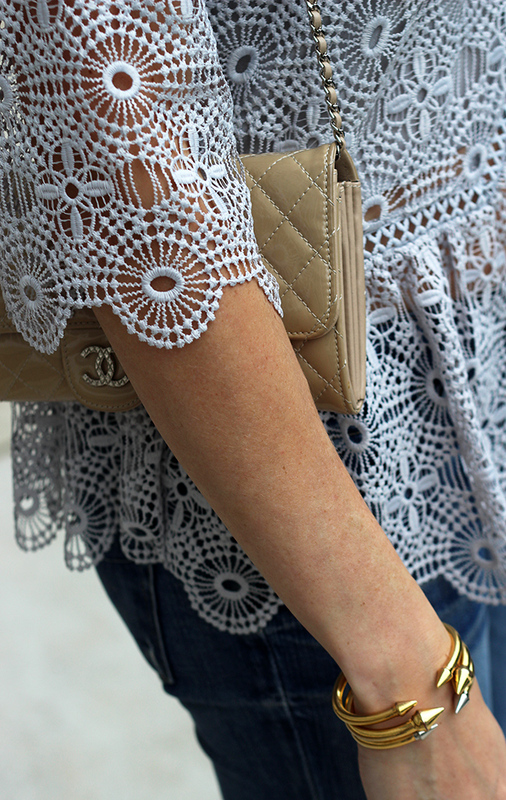 The lace detail on this top is amazing! Adding the edgy moto was the perfect idea too! Love this lace top and jeans, also love your jacket, and shoes. Well love the whole look. LOVE this look!! It's romantic and edgy at the same time!! What an adorable top, and at a great price! I have the same top and I'm in love! It looks amazing on you and I love how you styled it with the leather jacket! Definitely will have to style it that way next time and when it cools off! I adore that gorgeous top on you! I love the edge you added with the moto jacket! Leather and lace were made to be paired together! Wow!! That blouse is so pretty and romantic!! Love how you paired it with leather and denim! Totally agree with the masculine and feminine! Leather and lace... PERFECT! 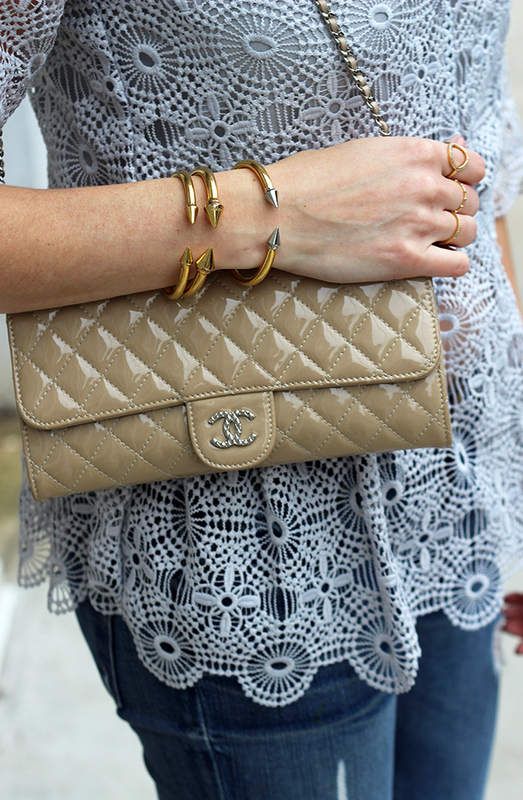 Leather and lace is such a perfect combo of mixing textures. Beautiful lace top Rachel. Ooohhhh love how delicate that lace top looks! I am a fan of mixing masculine/edgy and feminine together so this is just a perfect look for me!